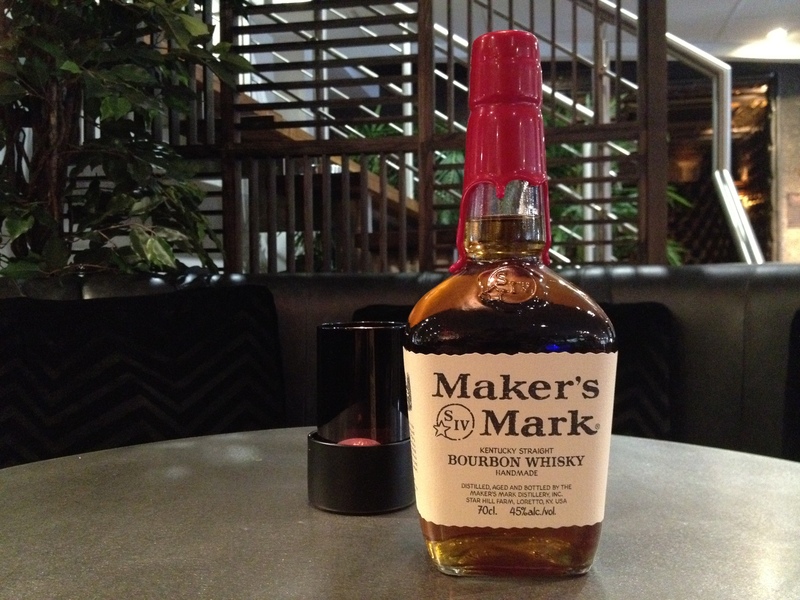 A staple to any bar around the world is Maker’s Mark. The bottle alone creates a buzz with its presence, but it’s not, well compared to other major presences like Jack Daniels, Jim Beam or Woodford Reserve, really been around for that long. 1958 to be exact. Well the production of Maker’s Mark started in 1954 to be fair. A gentleman named T. William Samuels Sr, or Bill as he was more commonly referred to as, purchased a distillery known as ‘Burks’ Distillery’ in Loretto, Kentucky for a sum of $35,000. 1958 came the first bottling of the now distinctive dipped red wax seal, which itself is a U.S. trademark.Production was overseen by Bill Samuels son Bill Samuels Jr until only as recently as 2011 when he announced his retirement. Son Rob Samuels succeeded him. With its marketed trademark tagline of “It tastes expensive … and is”, the distillery became a historical landmark with a listing on the National Register of Historic Places and designated a National Historic Landmark. The Burks Distillery became the first distillery in America to be recognized where the landmark buildings were in active use for distilling. In 1981, Maker’s Mark was sold to Hiram Walker & Sons, which six years later sold it to distillery giant Allied Domecq in 1987, which in turn sold it to Fortune Brands in 2005. In 2011 Fortune Brands split and its drinks business became Beam Inc. home of brands including Jim Beam, Courvoisier and Canadian Club. So despite a rather topsy-turvy history, Maker’s Mark stand strong as one of the worlds most recognised brands. And it has a rather unusual recipe. Maker’s Mark can actually be attributed to limestone-purified spring water that comes from a spring-fed lake right at the distillery. With a foundation of red winter wheat rather than traditional rye, this, along with naturally malted barley, and yellow corn, results in a double distillation within a copper pot still. Once distilled, charred white oak barrels are used to age. Although no specific age is ever given, the master distiller tastes each batch five times during the maturation process. When they think it is ready, it is then bottled. A rather unique method that Maker’s Mark incorporate is barrel rotation. Rotated by hand, workers rotate the barrels from the upper to the lower levels of the aging warehouses during the aging process to even out the differences in temperature. The upper floors are exposed to the greatest temperature variations during the year, so rotating the barrels ensures that the bourbon in all the barrels have the same quality and taste. Rich fruit mixed in with a hint of spice aroma on the nose, followed by a well-rounded palate of spice, vanilla and oak. A long, lingering spice finish that warms nicely. 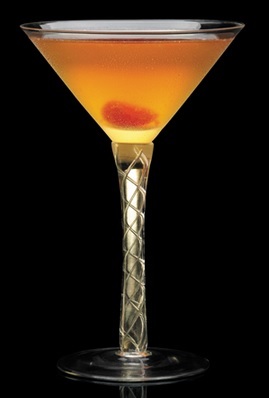 Place two dashes of Angostura Bitters and wedges of lime, lemon and orange into a cocktail glass. Macerate the fruit until the bitters and fruit oils cover the entire inside of the glass. Remove fruit remnants. Pour Maker’s Mark and sweet vermouth into a shaker, add ice and shake vigorously. Strain into cocktail glass. Run a bar spoon around the inside of the glass to release the fruit oils and bitters into the drink. Garnish with a broken maraschino cherry. Combine 6 tablespoons of the bourbon with the sugar and heat over medium heat, stirring until the sugar dissolves completely. Add the berries and cook until they start breaking down and the mixture thickens slightly, about 15 minutes. Remove from the heat and allow to cool for 4 minutes. Stir in the remaining bourbon and lemon juice. Combine the maple syrup, cinnamon, clove and orange peel in a small sauce pan. Heat over medium high heat to a simmer then remove from the heat and allow the syrup and aromatics to steep for 20 minutes. Strain the syrup through a fine mesh sieve into a small saucepan. Gently warm the syrup over low heat. Add the butter and Maker’s Mark Bourbon and stir until well blended. Serve warm. Beat the eggs until frothy in a large bowl. Whisk in the milk. In a separate bowl, sift together the flour, sugar, baking powder and salt. Add the egg mixture to the dry mixture. Stir until well-incorporated, then stir in the butter. The batter should be fairly smooth with a few small lumps. Heat a large griddle or non-stick skillet over medium-high heat. Add a teaspoon of butter to the hot griddle and then spoon a 1/2 cup of batter to form a pancake 5″-6″ in diameter. Cook the pancake until bubbles stop forming and the batter begins to set, then flip the pancake (the cooked side should be a deep golden brown). Cook until the other side is set and golden brown. Remove the pancake and set aside on a baking sheet or plate, tented with aluminum foil to keep the pancakes warm. Wipe the griddle/pan down in between with a damp towel or paper towel. Repeat with the melted butter and remaining batter until all of the batter has been used. The griddle may get hot over time, so adjust and lower the heat as necessary. To make a pancake stack, place a pancake on a plate and top that pancake with a few tablespoons of marshmallow cream. Add another pancake and top again with a few tablespoons of marshmallow cream. Add a third pancake to the stack. Brush generously with melted butter and then sprinkle the top pancake with a thin, even layer of granulated sugar. Melt the sugar using a hand torch, keeping the torch 6-8 inches away and in constant motion, to melt the sugar evenly without burning it. When the sugar hardens it will form a deep amber brown crust. 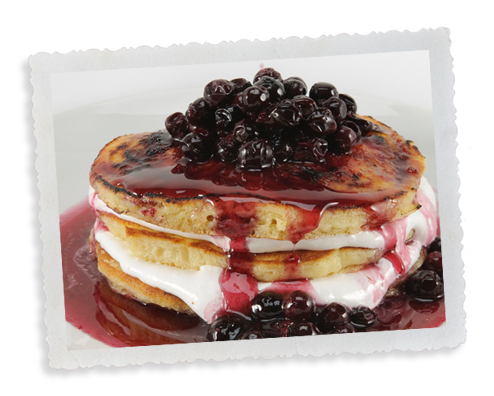 Top the pancake stack with the Bourbon Blueberry Compote and then drizzle generously with Naughty Syrup. Serve immediately! Makes you hungry doesn’t it! It may have not been around for as long as the others, but it sure is making strides in the bourbon whisky market. Play around today and join in the fun. Or if you ever get the chance, try Maker’s Mark 46. The first new Makers Mark recipe for at least 50 years, Maker’s 46 is named for the number of different wood ‘recipes’ they tried before getting it right! Check out the rest of the photos, taken at Dawnvale Leisure Interiors, via my Facebook page.